After that Alison Gold Chinese Food video, I can’t even try to enjoy all you can eat any more. Don’t even get me started on the “they got broccoli even chicken wings, make it spicy” part. 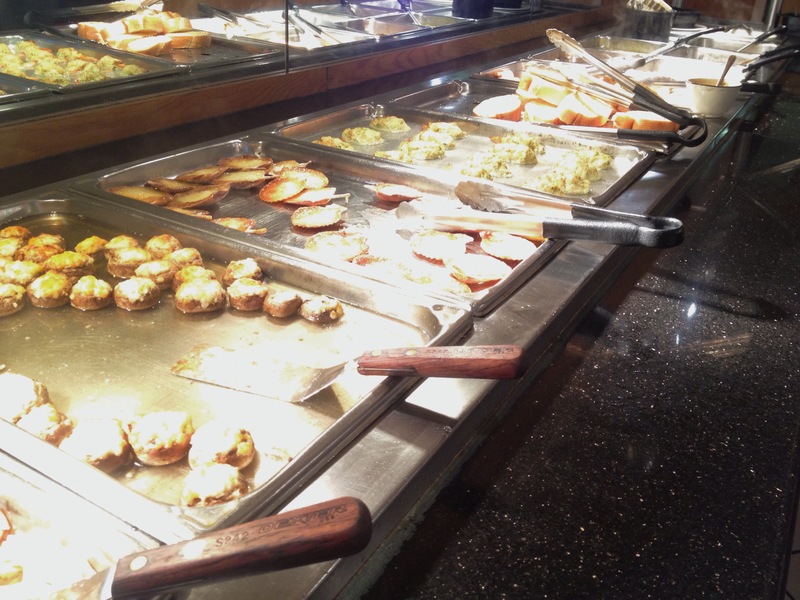 I went to Bellingham recently for a shopping trip with Jacky’s family and we decided to stop at Royal Star Buffet for lunch. First of all, I have never had high expectations for these Chinese all you can eat places serving unappetizing Chinese food (FYI fortune cookies were not invented by the Chinese). On the brighter side, there were better parts of the all you can eat such as the Mongolian grill, sushi, fried clams in black bean sauce, and Western food (ironic because it is called a Chinese all you can eat but come on, we’re in America). 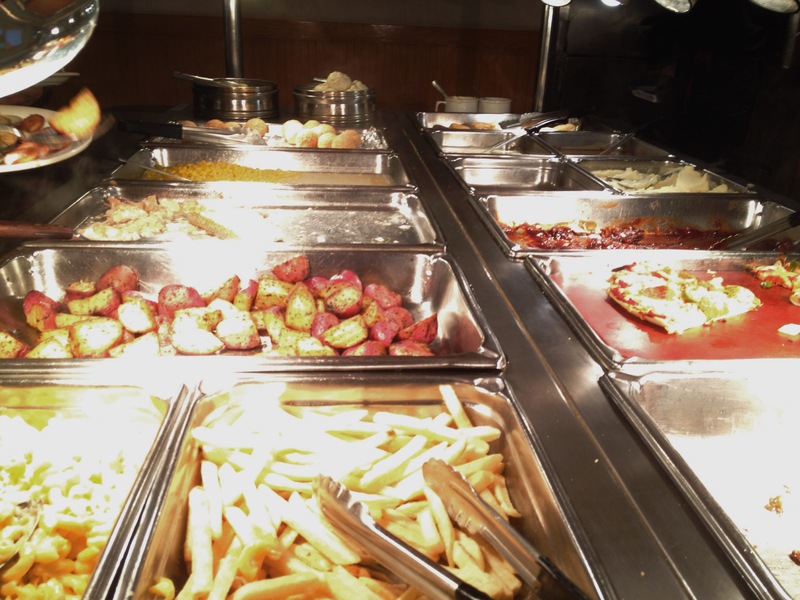 The bad parts were the sour and stale fruits, too much Western food, and cheese overloaded selections. I guess if you are looking for a place just to simply get full, these all you can eat spots will do. Mongolian grill was the only choice worth eating twice other than the fried clams. 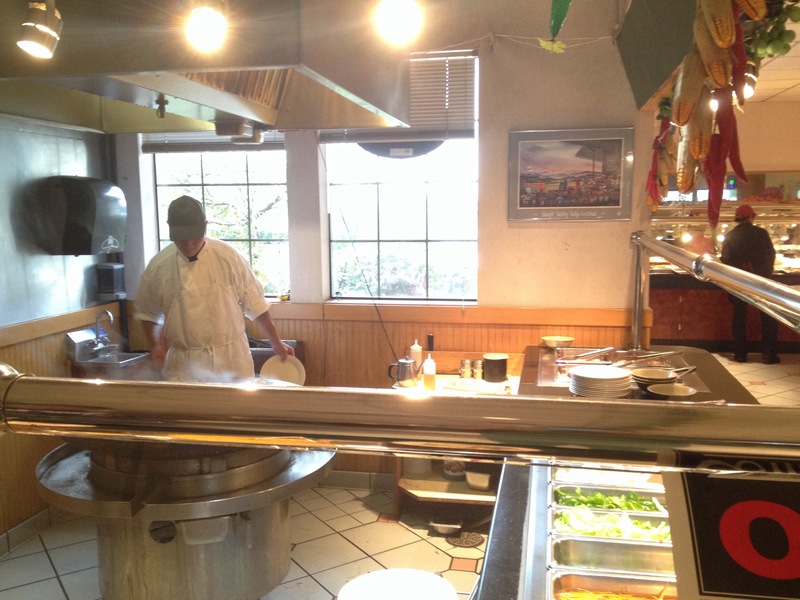 The man was nice and the choices for your grilled dish were diverse, simple and definitely more Asian. 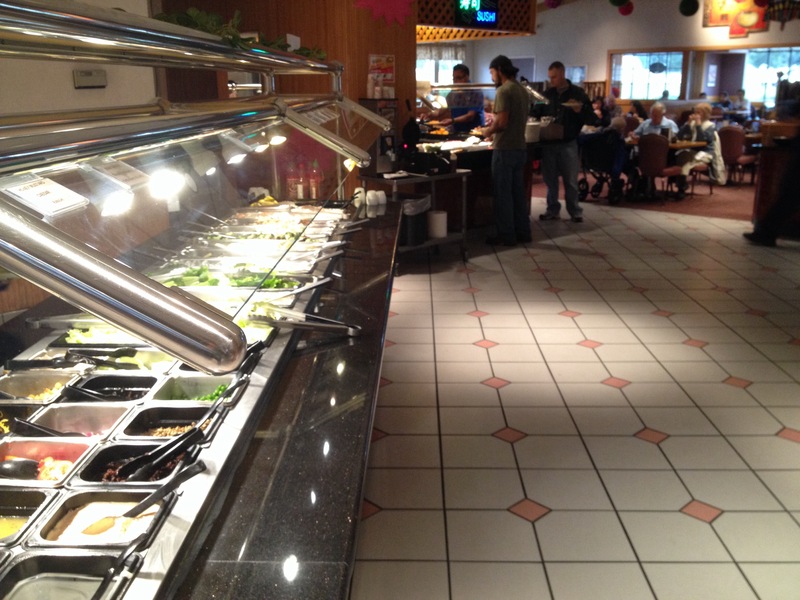 They also offered a wide selection of sauces such as Kung Pao, teriyaki to dark soy sauce. As mentioned at the beginning, they had an array of over-cheesed choices. Their mushrooms with baked cheese was literally one cube of cheese placed into each mushroom, the “scallops” were frozen baby scallops placed into fake shells smothered in liquid cheese and the last one was the imitation crab tossed and mixed with cheese. I like my bean sprouts and broccoli. My second round here. 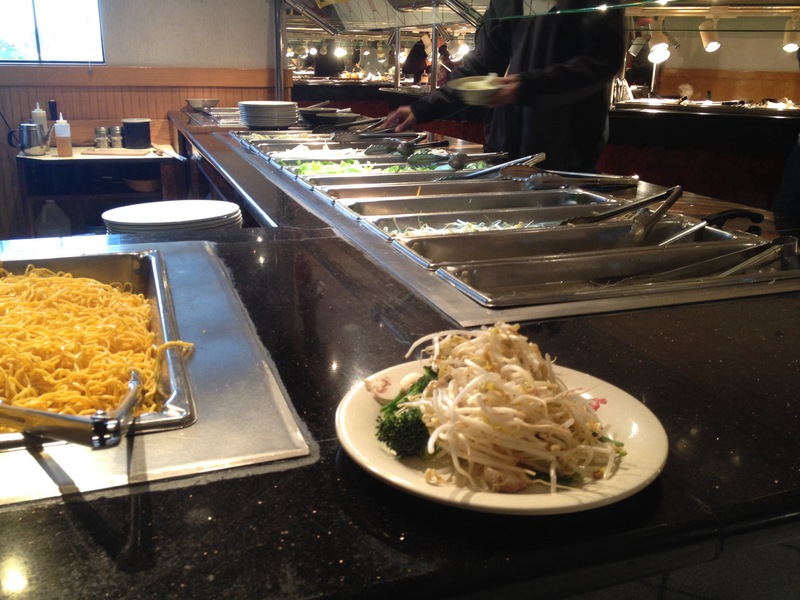 The salad bar did not serve any Chinese or Asian salads such as spicy glass noodles or cold duck. I saw cocktail shrimps, Romaine lettuce, potato salad, tuna and all the possible foods you would add to a Western salad.